Guts.com | Guts Casino Review | Get NEW Welcome bonus codes now! Guts.com | Guts Casino Review | Get your NEW Welcome bonus codes now! Guts.adjective. American slang. Also known as kahunas. Figuratively speaking, a person who has alot of guts or big kahunas has a lot of nerve, is brave, lives for the adrenaline rush and is a risk taker. Guts.com is the online destination for all the casino lovers with big kahunas! Guts Casino has been our go to online casino, offering a wide selection of games from software providers such as NetEnt, Betsoft, Microgaming, Yggdrasil, Quickspin, Play ‘n Go, Pragmatic Play, and Red Tiger. The casino offers instant play through your browser so you can start playing pretty quickly. Why do we love Guts Casino so much? Because they strive to get your withdrawal out to you within 2 hours and have the best 24/7 customer support in the industry. Partnered with the most reputable software providers in the industry, you will find depositing and playing at Guts.com to be a safe and enjoyable experience. Players from Finland, New Zealand, and Sweden get 10 Spins NO DEPOSIT NEEDED. Just sign up at Guts Casino and then open up the Piggy Riches Slot and the 10 Spins will be there ready for you to play. 1st Deposit: 200% up to €100 + 100 Book of Dead Extra Spins. The 100 extra spins are wager-free, and 10 extra spins will be given each day for 10 consecutive days. The extra spins need to be claimed between 00:01 and 23:59 each day. New players at Guts Casino that reside in New Zealand are able to sign up and receive 10 No Deposit Spins on the Piggy Riches Slot. 1st Deposit: 200% up to $100 + 100 Book of Dead Extra Spins. New players at Guts Casino that reside in Canada are able to sign up and receive 15 No Deposit Spins. Get 5 Spins on each of these slots: Valley of the Gods, Reptoids, and Jungle Books. 1st Deposit: 200% up to CA$100 + 100 Book of Dead Extra Spins. The 100 extra spins are wager-free, and 10 extra spins will be given each day for 10 consecutive days. The extra spins need to be claimed between 00:01 UTC and 23:59 UTC each day. 1st Deposit: 100% up to €250 + 100 Book of Dead Extra Spins. New players at Guts Casino that reside in Finland are able to sign up and receive 10 No Deposit Spins on the Piggy Riches Slot. New players at Guts Casino that reside in Sweden are able to sign up and receive 10 No Deposit Spins on the Piggy Riches Slot. 1st Deposit: 100% up to 2500kr + 50 Book of Dead Extra Spins. 1st Deposit: 100% up to 2500kr + 100 Book of Dead Extra Spins. 1st Deposit: 100% up to £100 + 50 Book of Dead Extra Spins. 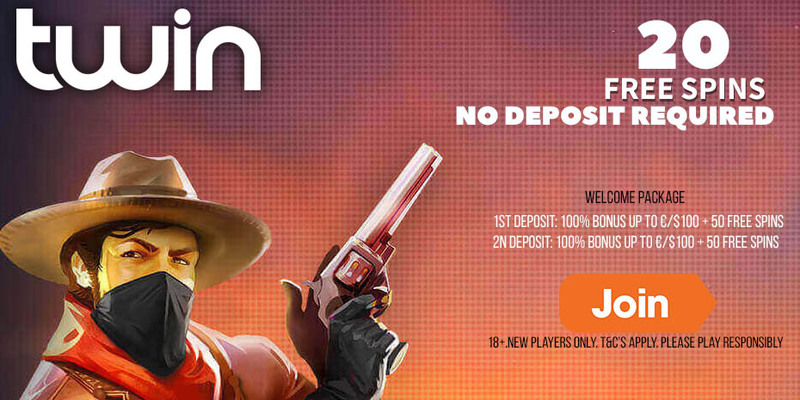 Only new UK players that are 18 years or older are eligible to open an account at Guts Casino. Click here for the full Terms and Conditions list. All winnings from your extra spins will be deposited directly into your player’s real account. There are no wagering requirements on the extra spins winnings. 1. Players from the following the following countries are not eligible for the first deposit bonus or any type of bonus unless specifically stipulated: Albania, Azerbaijan, Belarus, Bosnia and Herzegovina, Croatia, Georgia, Romania, Ukraine, Russia, Serbia, Slovakia, Latvia, Lithuania, and Thailand. 2. All casino bonuses need to be wagered at least 35 (thirty five) times before the funds can be withdrawn or played on other products. 150% (or above) bonuses have to be wagered 40 (forty) times, 200% (or above) bonuses have to be wagered 45 (forty five) times. 3. Playing Slots and other games contributes 100% towards wagering requirements, all “classic slots” contribute 70% towards wagering and all table games contribute 0% towards meeting play-through requirements. Guts Casino allows players to deposit using the following methods: Visa, Mastercard, Neteller, Skrill, Paysafecard, Euteller, Ecopayz, Sofort, Zimpler, Interac, and Bank Transfer. Credit Cards and Bank Transfer: Visa and Bank Transfer takes 1-3 working days. Players can play using: US Dollar, Pound Sterling, New Zealand Dollar, Canadian Dollar, Euros, Swedish Krona, Norwegian Krone.